Allegra Boverman/Gloucester Daily Times. 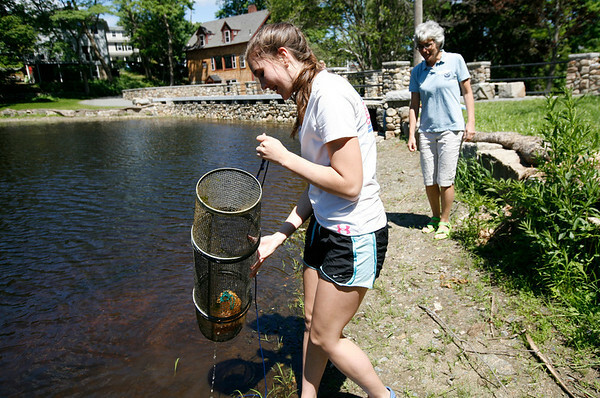 Rockport Middle School eighth grader Rachel Haselgard lifts a fish trap out of Mill Pond during their two-day long research project there earlier this week with NOAA scientists. Colleen Coogan, right, of Rockport, a fishery biologist who works with NOAA's communications team was working with her.